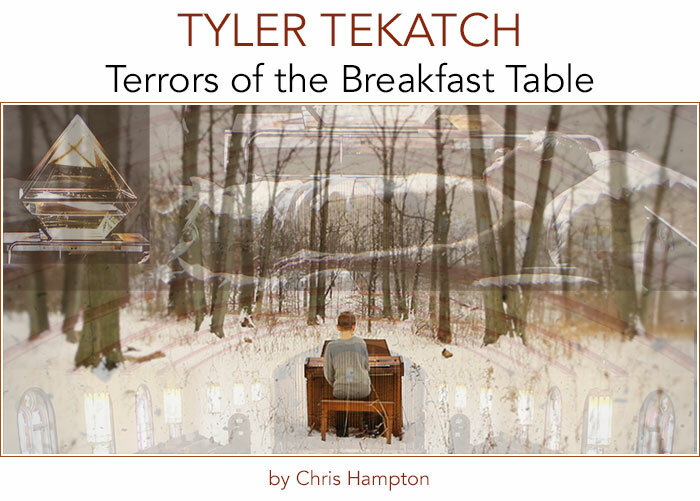 Tyler Tekatch’s video installation, Terrors of the Breakfast Table, is best experienced alone. You sit down at an antique, dark-stained table like you’d find in a Sunday sale or at your grandma’s or maybe in a fortune teller’s parlour. There’s a curious-looking rhombiform contraption on the tabletop. It glows. The instructions say to breathe into the thing. Visuals project across a 50-foot wall.